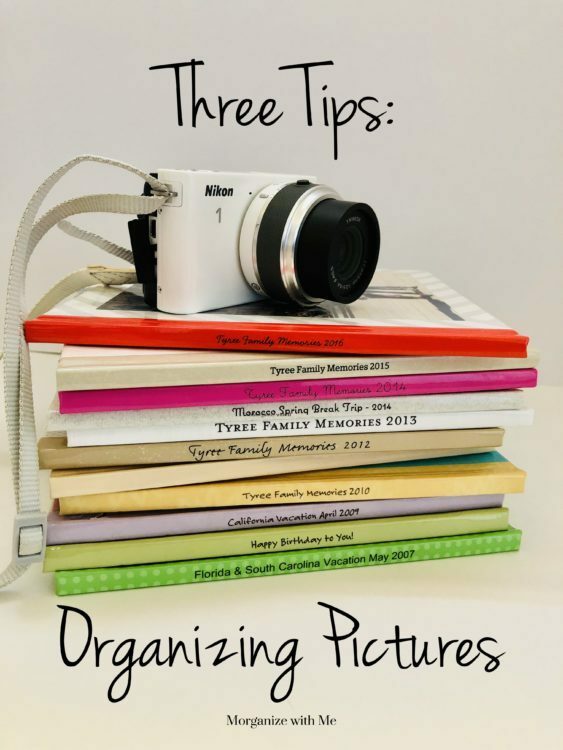 The following is a guest post with tips on organizing pictures and preserving your family memories from regular contributor, Morgan from Morganize with Me. Recently, after speaking to a MOPS group, I was asked for tips on photo organization. This is a BIG question. With all of the technology and ease of being able to snap photos everywhere and anytime, we are in constant picture-taking mode. This means that we now have more pictures to organize than ever before! To better manage your pictures consider these three tips. First, every picture you keep will require you to make a decision. Make it a habit to only keep the best of the best. Streamline your photos by deleting those that don’t make the cut. If pictures are blurry, have bad lighting, or the same shot was snapped 15 times – only select the one or two that you like the most. Keep a “long-term” mindset when taking pictures and when deleting them. This will make your photo organization much more manageable. Next, decide how you want to preserve your pictures. Do you want to make Chat Books from your Instagram feed? Have every photo backed up to a CD/DVD? Create an annual photo book? Print photos for display in your home? Set up automatic back ups to your I-cloud? It’s important to come up with a structure to help you with accessing and enjoying your pictures. Also consider the amount of time your system will require you to maintain and how often you will look at your photos in the future. These two factors can help you to narrow down the best option for you. The method you choose will depend on what works the best for you and your photo organizational goals. Lastly, make it a habit to schedule regular blocks of time to organize all the pictures you have selected according to your preferred system. Whether this is backing your photos up to a hard drive, arranging things on an offsite digital storage service (Google, Shutterfly, Amazon), or printing photos and arranging them in an album or a photo box. Make sure to schedule regular times so that you don’t go months (or years) with the photos just sitting on your phone or camera. 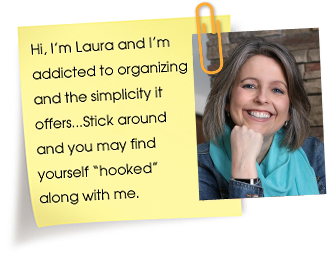 (And, if you can schedule automatic back ups then do so, this is a great way to save time.) If you are looking for where to back up your pictures, this article is helpful. Most importantly, keep in mind that your time is valuable. While it IS great to preserve memories, it’s also important to live in the now. Don’t spend more time than necessary on photos that you may not necessarily want to look at now or in the future.